Beer cans. Not the easiest thing to carry around – once you’re double parked that’s pretty much it, maybe one in each pocket if you’re lucky. 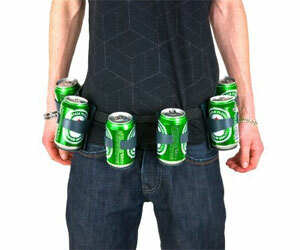 But now carry up to six cans around your belt and look like some kind of badass army guy.